Chicken are well known to be affordable meat source in all over the world. People eat chicken everyday due to the delicious taste and the wide spread of fast food restaurant offering chicken as the main menu. 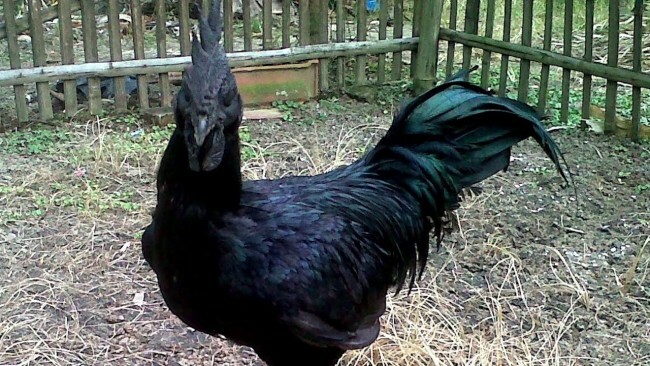 However, this black chicken breed named Ayam Cemanicomes from Indonesian origins is so damn expensive that makes you think again about chicken. One chicken of these costs you 2500 US dollars and for a juvenile pair it costs 4500 USD. The main reason for this high expensive is not clear. The meat doesn't even taste any different from regular chicken. However, they are all black, black feather, black meat, even black organs. Native population at Indonesia think it has some magical powers and they use it for healing many diseases or gaining some powers, they think. 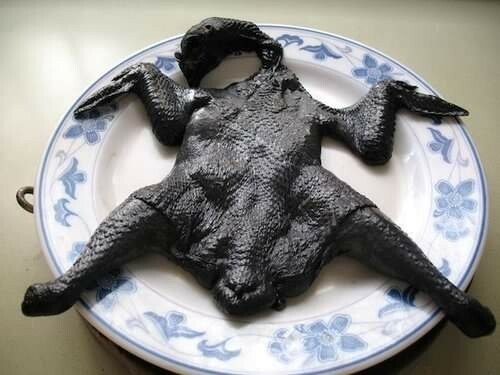 The reason for these chicken to be all black is a rare genetic disease called fibromelanosis. 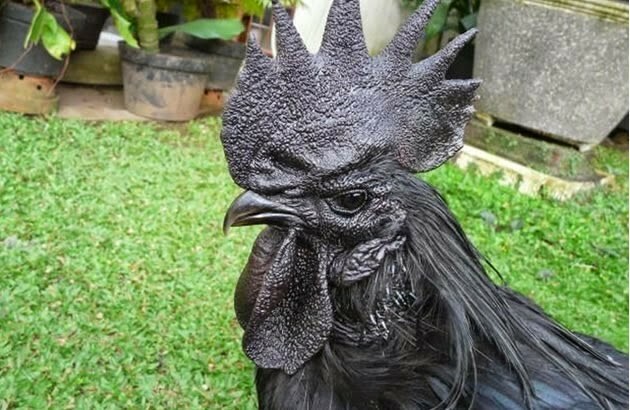 Due to ban of many countries of importing live animals, these chicken are not allowed live out of indonesia, but some breeders at USA have managed to import the eggs to hatch at their farms and due to the elegant look of these chicken, relative rarity, and high demand it costs so much. These chicken prices are not going to be lowered any soon so you better be very rich to afford one of these meals. Maybe you should think twice before slaughtering any of these lovely chicken or maybe you have to wait for this breed population to grow larger and then the prices shall fall.